Photo: Richard Lane/Richard Lane Photography. England Legends v Ireland Legends. The Stuart Mangan Memorial Cup. 26/02/2010. 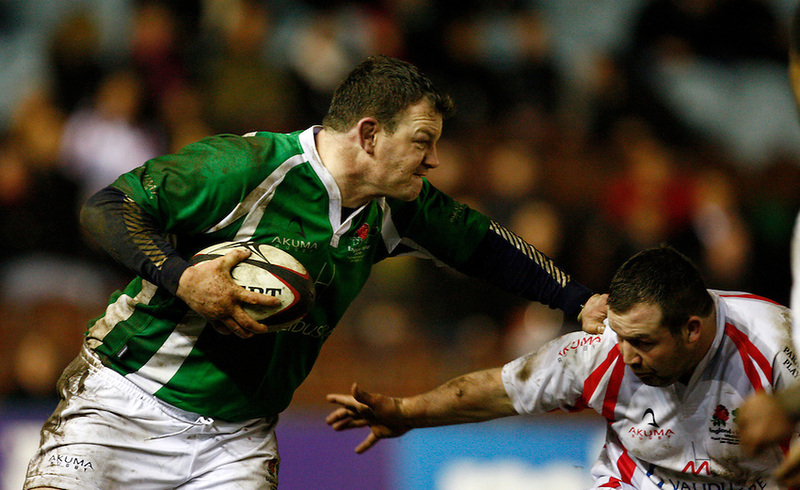 Ireland's David Corkery attacks.